If you are needing an Avon brochure, I will be glad to see that you have one mailed directly to your home. When I get a request for an Avon Brochure it is generally mailed out in 1-3 business days. When you order from me online, at http://mickibaker.avonrepresentative.com, you are placed on the mailing list to receive the next Avon Brochure. As long as you are ordering you will be getting your Avon Brochures, but don’t worry, if you don’t order for a while, another order will put you back on my mailing list. 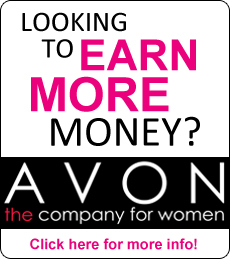 Everyone is discovering the benefits of ordering online and with Avon those benefits are great. You can do your shopping 24/7 at your convenience and order when you are ready. When you place your order, you can use the shipping codes and offers to make your experience even better. You have the ability to back order two campaigns to be sure that you get the best value for the price and your order is shipped directly to you from Avon. So Request your brochure today and don’t forget to look for free shipping codes and special offers that Avon offers and I have listed. So if you are ready to start looking for all the wonderful products that Avon has to offer, just click on this link and enjoy your shopping experience. I look forward to being there for you.